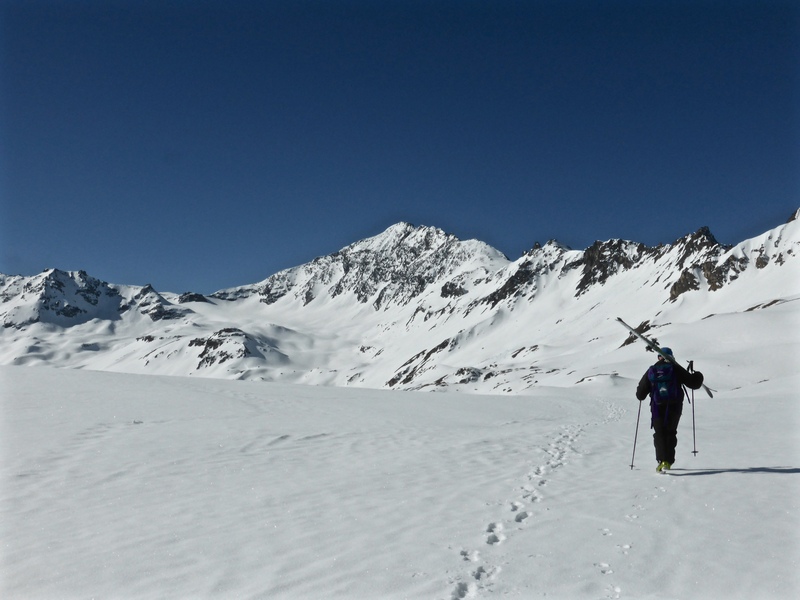 Just further on from the Val d’Isere classic Tour du Charvet, the Tour du Mont Roup has been on my list of short treks since the beginning of the season – for several seasons, in fact. I got close a few times but weather conditions and other circumstances kept getting in the way, until yesterday, when guide Chris said the words: “Right, today we’re going to the Mont Roup”. The north-west wind was still blowing in big gusts over the hill. Overnight it had pushed snow around and further sculpted the upper layers into crinkled sheets. Banks of clouds were sweeping across the surrounding peaks. 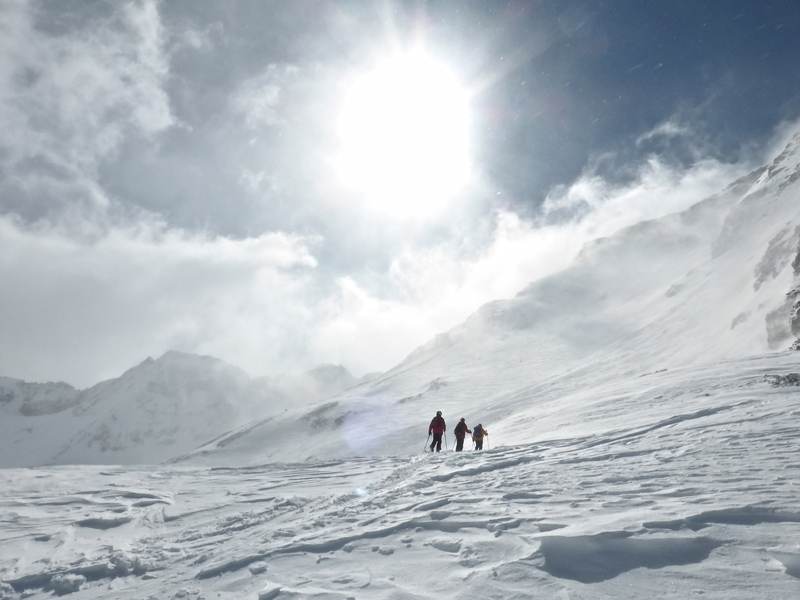 As the morning began to unfold, the main question was to figure out which parts of the mountain would be most sheltered. In the end, we opted for Glacier Pers. The upper lifts had remained shut because of the wind, so from the Signal drag, we began the long traverse behind the Rochers Pers and above the Lechoir.